I am filling in for another blogger today but I hope to read and review this story very soon! Funny and fast-fast paced, this is a great cozy. 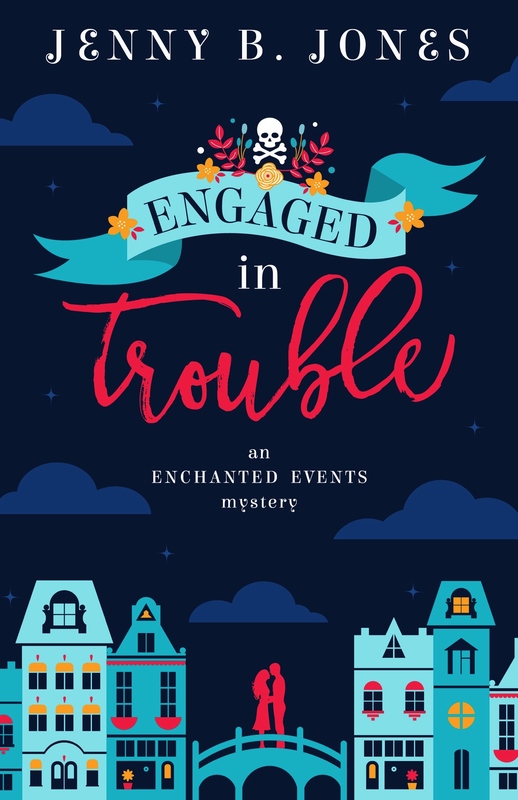 Engaged in Trouble was a super fun and quirky cozy mystery! The story/plot fast paced full of twists and turns and surprises that kept this reader captivated from the very beginning. This book is a combo of chick lit and cozy mystery. Humor is spread throughout the book with mystery and a touch of romance. It’s a quick read with “laugh-out-loud” fun. Sylvie and Frannie might be two of my favorite characters ever. Paisley was really funny, down to earth, and relate-able. Beau was a great character also. I enjoyed his sense of humor and he brought a level of mystery to the book in addition to the murder mystery. A perfect combination of chick lit rom-com (with enough heat) and cozy mystery, perfect for all small town genre readers. 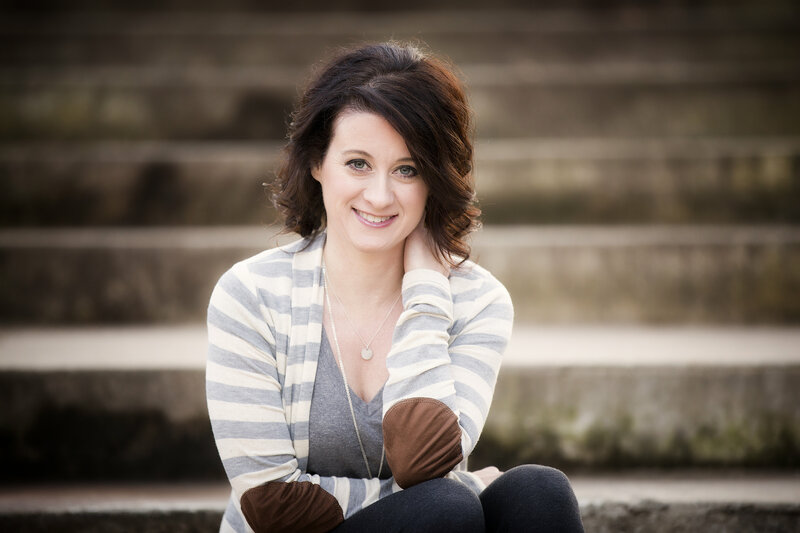 Engaged in Trouble … smart, Southern, and sassy. I’ve found a new favorite author in Jenny B. Jones, one who captivates me with her storytelling, characterization, and lyrical writing. I’m Paisley Sutton, former pop star of the hit girl band Electric Femmes and now star of the drama that’s become my life. Let me catch you up to date really quickly. I’m broke. I had to temporarily leave my beloved Los Angeles to move back to Sugar Creek, Arkansas, and my new neighbor? My old nemesis Beau Hudson. Let’s take a peek at when I first see Beau again—after many years of some blessed time apart. I pulled up to a darkened house and briefly rested my head on the steering wheel in the quiet of the night. I had to stay in this town six weeks. There had to be a way around that. To get what I wanted and return to L.A. before my beloved city had forgotten me. But the terms of the will, something I’d read at least twenty times, stated that I had to keep my great-aunt’s business afloat for two months, then I was welcome to sell. The business itself wouldn’t be worth a dime, but the old building in the growing downtown area would bring in some much-needed cash. Yanking a suitcase from the backseat, I slammed the car door shut and heaved the best of my belongings toward a gray two-story with black shutters and enough Victorian charm to have personality, but not intimidate. Sylvie owned a handful of rent houses in Sugar Creek, and this one boasted two side-by-side front doors. I tried the key I’d finally gotten in both doors, but to no avail. Seriously? I just wanted a bed, to slip beneath cool sheets and let my worry-ridden head drift into a fluffy pillow. Leaving my bags, I walked around the back of the house, using my phone for a flashlight. Crickets chattered and mosquitoes rudely buzzed their welcome in my ear. I tripped on a step to the back deck, but climbed on up, only to be faced, yet again, with two doors. The key refused to fit in one door, but the weathered door on the left opened with no effort at all. I could practically feel the cool, crisp sheets already. A large shadow flickered a millisecond before five hundred pounds of solid bulk slammed into my body and threw me to the ground. Lightning exploded in my head as it hit the floor, and my scream pierced the air. I kicked and struggled, desperate to get this intruder off me, while panic overrode any rational thought. I’d taken a self-defense class years ago, but I couldn’t recall a single move. Still screaming, I kicked wildly and tried to use my nails to claw this person’s face, but he took my hands captive. The intruder stilled. With one large hand still wrapped around both my wrists, he reached for my dropped phone and shined the light right in my face. My galloping heartbeat couldn’t drown out the loud sigh from the person hovering over me. I was pretty sure I knew that voice. My attacker released my hands and rolled to his feet, the light revealing one familiar face. “You’re in my house, Paisley Sutton.” He flicked on the light, illuminating a tableau I would forever call The Time I Faced Death and Didn’t Wet Myself. “This is my grandmother’s home, and I have the keys to it.” I pulled myself to a seated position, my skull throbbing. Beau had been the older, mature fourteen to my twelve. After sharing a plate of macaroni and fried chicken, he’d kissed me at a church social, then ran back to school to tell everyone it had been a slobbery disaster. He took a knee beside me, and I scooted away. I slapped away his hands and attempted to stand. I was related to Sylvie. We were used to people suggesting we have our head’s examined. “I’m fine. I just want to get to my side and sleep. Apparently Sylvie gave me the wrong keys.” Probably on purpose. A few minutes later I stood behind him as he opened the door, carrying three bags like they were no heavier than my purse. I stood in the doorway, my feet unable to carry me any further. This town had been home. Before I got plucked from a high school choir competition to round out a girls’ band. Before I traveled the world and lived large. Before life said, “Never mind!” and kicked me off the train of success. “I hope you’re not waiting for me to carry you over the threshold,” Beau said, interrupting my maudlin thoughts. “You’d do anything to cop a feel.” I mustered up a smile. The storyline sounds like a good read. I really enjoyed the description of the book. Sounds like a great summer read. I enjoyed the excerpt. Now, I’d like to read more, please.